With “Godzilla: King of the Monsters” opening soon, there’s an excitement I’m feeling that I haven’t experienced for a long, long time. As I’ve watched the trailers that have been released up to this point and read through various fan sites, I began asking myself why I am more hyped for this movie compared to almost any other big-budget blockbuster I’ve seen before. That lead to me think about how I got to this point in life regarding my passion for Godzilla. The first movie I ever saw in a real movie theater was Godzilla vs. Megalon in 1976 at Bruton Terrace IV Theater in Dallas. As a kid, I recall staring at the movie poster while my dad purchased tickets and not being sure of what to expect to see on the screen. But, I had a strong feeling that it was going to be fun. When the movie started, it was easy to understand what was happening. The “bad guy” monsters were very cool looking and up to no good. The “good guy” monsters stepped-up to the challenge and eventually triumphed while facing adversity along the way. It was a classic story of good vs. evil, working together and doing the right thing and I LOVED IT! Today, there are critics who view this movie as not one of the better installments in the original series, which is referred to now as the Showa series. But for me, it was magical! The next few years treated me to even more Godzilla adventures at the box office. It was great looking forward to a new movie on a regular basis and that helped fuel my fandom more and more. 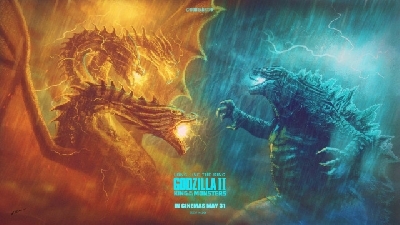 In 1977, Godzilla on Monster Island (now called Godzilla vs. Gigan) and Godzilla vs. the Cosmic Monster (now called Godzilla vs. MechaGodzilla) were released in theaters. Terror of MechaGodzilla came out the following year and I felt like the monster parade would never end. 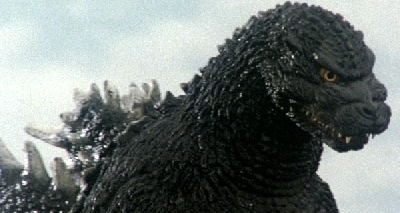 However, that turned out to be the final movie of the Showa series and Godzilla would be taking a break from the box office for several years afterwards. Although new movies weren’t showing in the theater any more, my desire for Godzilla was kept alive throughout the early 80s with the annual “Monster Week” of movies shown on WFAA Channel 8, the local ABC affiliate, during the summer. Those five afternoon days of various Godzilla or related flicks was something all my friends and I looked forward to seeing every year. There was also the occasional Saturday broadcast of a Godzilla movie on one of the area’s independent channels, usually KTXA Channel 21. Looking through The Dallas Morning News’ TV guide every Sunday and circling the dates and times for Godzilla movies became a ritual. I was on a mission to see every Godzilla movie ever made. When none were scheduled, I felt let down but never discouraged. After all, there was always next week. The movies weren’t the only way I experienced the world of monsters. The bible of all monster books at the time was “Godzilla” written by Ian Thorne. 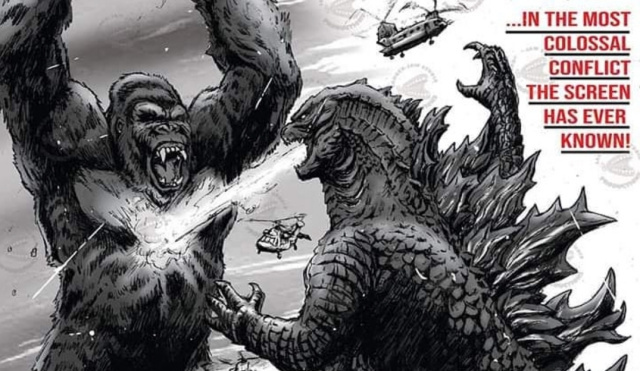 This 50-page masterpiece published by Crestwood House featured stories and pictures about Godzilla and other monsters that could not be found anywhere else. It was available at the Pleasant Grove Branch of the Dallas Library near my house and I checked-out this book over and over again. There were many times when I returned it, watched the librarian check it in, and then immediately checked it out again. As much as I loved Godzilla, I didn’t want to pay library late fees! That book taught me about several Godzilla movies I never knew existed. Growing up, my family and most of the people we knew didn’t have cable TV. And, in 1983, there was no such thing as Blockbuster Video yet. So, if the movies did not show on local broadcast channels, then I wouldn’t be able to see them. One day, I learned that a cable station called The Movie Channel would be hosting a Godzilla-thon in a few weeks. They would be playing all the movies I had never seen as part of their broadcast. I feverishly asked everyone I knew who had cable TV if they also had The Movie Channel. Unfortunately, none did. I knew I couldn’t let this opportunity slip away, so I got creative. I opened up the Yellow Pages and contacted various motels in the Dallas area to find out which had that channel. I found a few and compared prices to stay there the day of the Godzilla-thon. I picked one and then told my dad about my plan. I gave him enough money from my allowance and grass mowing earnings to cover the cost of the room for the day. I could tell he thought it was strange and probably a waste of money but he knew I was determined. So, on a lovely Saturday morning, we drove to a motel near US 75 and Walnut Hill Lane in north Dallas to watch Godzilla all day. Although most of the day consisted of me sitting at the foot of the bed watching TV, it stands out as one of the best days of my childhood. While watching Godzilla movies is wonderful experience by itself, my friends and I were able to relive the action with a variety of toys, too. In fact, the first toy I ever purchased at Toys R Us was a rubber 5” bendable Godzilla figure. You can still find those on eBay sometimes. I know because I’ve looked. The pinnacle of all Godzilla toys at the time was the Shogun Warriors Godzilla figure. My brother and I were the lucky recipients of several of these over a few years since we tended to break the red lever for his fire breath, lose his rocket hand or accidentally crack the yellow toes. Thus, replacements were needed. There were countless battles with this Godzilla toy facing off against an assortment of plastic army men, tanks, rockets, etc. All we needed was a flat surface and some imagination, and then the battle was on! When I was 11, I received the Shogun Warriors Rodan figure for my birthday. My bedroom saw many fights between these two beasts, with Godzilla winning most of the time. Throughout my teen years, Rodan hung from my ceiling suspended by string, always waiting patiently for the next battle to begin. When movies and toys didn’t do the trick, we became the monsters ourselves! 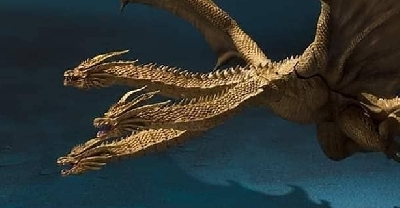 Much time was spent learning how to mimic Godzilla’s lumbering walk, Rodan’s wing movements, Megalon’s drills, Gigan’s hooks, Ghidorah’s heads, MechaGodzilla’s finger missiles, Jet Jaguar’s karate moves , etc. Our alter egos played out in backyard battle royals between neighborhood kids almost every weekend. But, as hard as we tried, I don’t think any of us ever quite mastered the voices and sounds of the monsters. Although some have come close! By my early teens, there hadn’t been anything new related to monsters for several years. But, that changed in the mid-80s with the premier of Godzilla 1985. I was thrilled at the opportunity to see Godzilla on the big screen in a theater once again. But, in speaking with my friends about it, I noticed things were changing. They no longer cared about Godzilla like I did and seemed to be interested in other things. They viewed Godzilla as childish, and even silly. I ended up seeing the movie with just my dad at the same theater where my fascination with Godzilla began in 1976. Looking back, I did enjoy the movie and was happy to hang a poster of it in my bedroom. And, the ending did make me sad. But, I couldn’t help but feel the magic had somehow slipped away. Had I finally outgrown Godzilla? Over the next decade or so, many things occurred in my life. I graduated high school and then college, relocated to another city, started a career, got married, bought a house, etc. In other words, I grew up. The Godzilla movies released during this time went largely unnoticed by me. When I had the occasion of being in a toy or movie store, I would passively look to see what Godzilla merchandise was available. But, I no longer recognized much of it. Names such as Spacegodzilla and Destoroyah had no meaning to me. I didn’t know anything about these monsters and had little desire to find out. 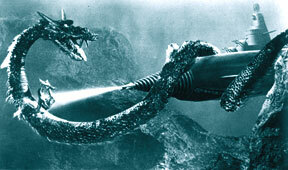 I did rent Godzilla vs. Biollante at a video store in the late 1990s once but fell asleep while watching it. I didn’t like this version of Godzilla because it was too different from what I fell in love with as a kid. As a result, I felt disappointed and didn’t actively think about Godzilla any more. Then, in 1998, my interest was reignited. A big budget Hollywood version of Godzilla was coming to theaters with state of the art special effects featuring well-known American actors. With the success of the Jurassic Park franchise, I just knew the public was ready for the next level of action with this Godzilla reboot. There was a new book available called “The Official Godzilla Compendium” that chronicled Godzilla’s 40+ year career. I eagerly purchased it and enjoyed reading about the classic Showa movies that I hadn’t seen in many years. Also, reading about the newer movies from the 1990s that I hadn’t seen at all and finally becoming acquainted with them through various cable channels. I was the manager for the Children’s Department of a large department store at the time, and I made sure there were plenty of Godzilla toys, clothes and collectibles available. I was excited about Godzilla again and it seemed many others were, too. Then, I saw the movie. To say it was a disappointment would be a huge understatement. I remember asking my wife’s grandmother, who saw it with us, what she thought about it. She said, “Well, it was very loud.” She was 100% right; it was very loud and that’s about it. I felt embarrassed for buying into the hype and being so utterly wrong about something I believed in deeply. Placing the clearance price stickers on merchandise that didn’t sell at the store was the ultimate punch in the gut. Perhaps it was finally time to leave Godzilla in my childhood memories for good. But childhood memories work both ways. The Oakridge Boys have a classic song called “Thank God for Kids.” Indeed. Having kids of my own several years after the 1998 movie allowed me to walk down Memory Lane with them and reintroduce the Godzilla I knew. Throughout the 2000s, we acquired most of the Showa movies and my kids have seen them all over and over again along with the newer movies, too. They recognize the music, they know all the monster’s names and we’ve had many mock battles in the house. Plus, their toy boxes slowly filled with the latest crop of toys. Godzilla is known to stay dormant and hidden for many years, but then comes forth when needed. Seeing the joy and excitement on the faces of my children when they first watched these movies, some of which are almost 50 years old, all while playing with the accompanying toys, tells me the magic remains even all these years later. And, like Godzilla himself, it returns when needed. 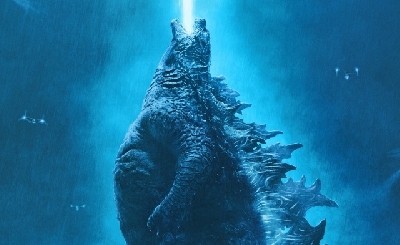 This most recent American version of Godzilla premiered on the big screen in 2014. It presented a new spin on his origin story with new monsters, too. Although different, it worked and looked great! Godzilla was back in a big way and so was the coolness factor. One no longer had to feel any level of hokiness when saying Godzilla’s name. The hype was real and this time I was able to experience it with my own kids. Now, three generations of my family have known the wonder of Godzilla. 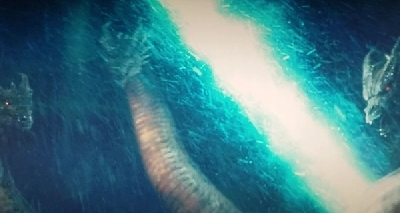 So now we come to 2019 and the eve of another Godzilla movie. “Godzilla: King of the Monsters” will be the 33rd movie of the franchise’s 65 year lifespan. Why do I feel this one is going to elevate the franchise to a whole new level? From what I can tell so far, the movie offers a complete package of everything fans want in a Godzilla movie. A meaningful storyline about something important with interesting characters told on a grand scale. 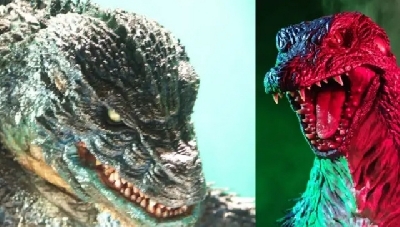 Plus, there’s the unique opportunity to see classic Showa monsters in a way never before featured on screen. And, all of this is being done by a great director who is a fan of the material. It has every indication of being as awesome as Godzilla himself. With this movie, an entirely new generation of kids from around the world will be introduced to Godzilla for the first time. I wonder how many of them will be standing outside the box office with their dad, staring at a poster, and waiting to see the fun on the big screen for the first time. I suppose time will tell. There may be things about the movie I don’t like at all. But, much like when I saw Godzilla vs. Megalon for the first time, I don’t see miniature models, or stunt wires, or a man in a rubber suit. All I see is my favorite monster, my hero, Godzilla. 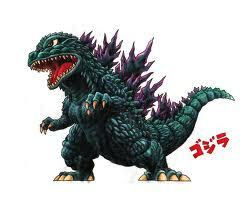 Maybe some people eventually outgrow Godzilla, but not me and I never will. Some people won’t understand everything I have written here and why I’m so looking forward to the new movie. But, the true fans will understand and they will be standing in line with me to see the new movie. Yes, I will be taking opening day off from work. Yes, I plan to see the movie multiple times, maybe even the same day. Yes, I have bought and will continue to buy some of the new toys. Yes, I still LOVE Godzilla, The King of the Monsters! If you are a true Godzilla fan as you claimed, why would you have no desire to watch the Heisei or millenial series, OP? Showa is the series many here grew up with, but that does not mean Heisei or millenial series is any less good. You are missing out on some good movies by your unwarranted prejudice against Heisei and the later series. Biollante is a mixed film to some, but it is unwise and inaccurate to judge the whole Heisei series on that one film. Godzilla vs King Ghidorah in 1991 is great fun. 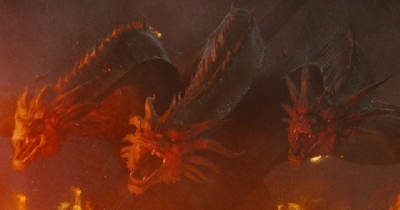 And since you mentioned Destroyah, that 1995 film is often considered one of the best Godzilla films. Sorry to be blunt, I really doubt you are a true Godzilla fan as you claimed. I think you may have missed a few key parts. I say "... reading about the newer movies from the 1990s that I hadn’t seen at all and finally becoming acquainted with them..." and "...my kids have seen them all over and over again (along with the newer movies, too)." Saying you doubt someone is a "true _______ fan" is disgusting no matter what you put in the blank. He can have an opinion, and you can have one as well. But this "not a true fan" crap is old and played out and people should stop. 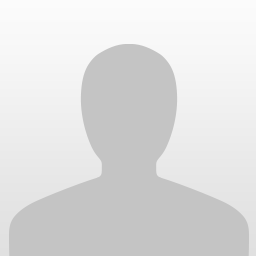 Welcome to the forums FerGrBrGr! Loved your post, but I do suggest watching the Heisei and Millenial series. I grew up on those eras personally and they are great fun. I've never understood the segregation between certain fans and eras. 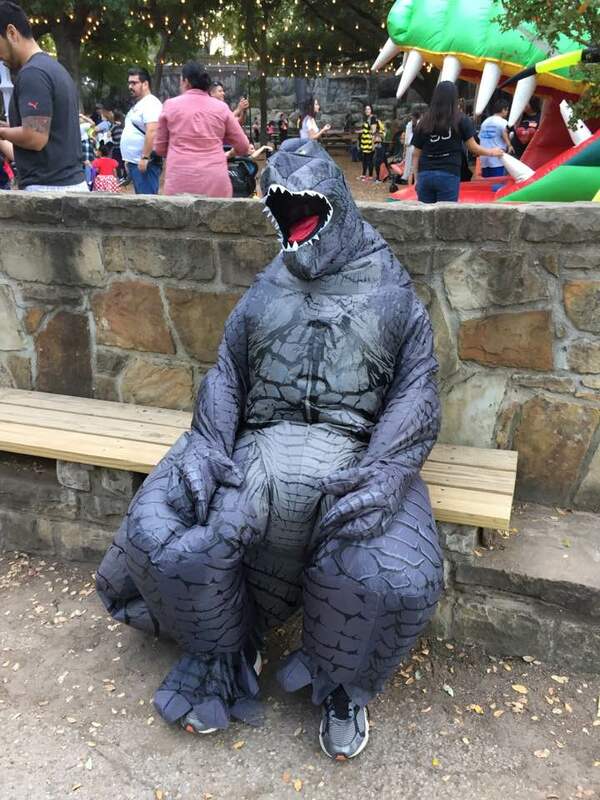 Godzilla is an all inclusive experience. It's nice to have someone lurking here older than myself for a change. Touching story and a fascinating look at the Western introduction to the fandom before my time. Welcome aboard. Enjoy the insanity. I certainly agree fans should develop thicker skin in conversation and debate--I can point to a few here--But FerGrBerGr simply watched Biollante at a point in his life where the franchise wasn't of much interest. I went through that phase as well. He's seen the movies, he just has a preference. As do we all. Oh of course everyone can have their preferences. We live in a free society. But that also mean other people can comment on their preferences. As for real Godzilla fan, I have heard worst at a G con once. Maybe I was mistaken, if so my apologies, but I thought for a moment the OP was trolling a bit there. "But that also mean other people can comment on their preferences." I completely agree. Comment away. Create debates. Curtail opinions. Condemn less. There's certainly a noticeable excitement buzzing around the upcoming film that hasn't been observed in the community in a long time. We're seeing a wave of classical inspiration for the designs and visual beats, a real love for the franchise in the film's creative team, and a flare for playing up the film as something beyond simple monster action. It's...... it's just a beautiful symphony. The perfect storm of design, hype, and nuance. Hopefully, this storm will be represented in the box office. G-Fans need strong international representation, and Michael Dougherty is the best chance for that right now.